Songs and score for an animated film made for Channel 4 featuring the song 'Somewhere a star shines for everyone', sung on the film by 'discovery' Charlotte Church. The animated film of 'The Bear' was made by the same team that made ‘The Snowman’ based again on a story by Raymond Briggs and first shown on Channel 4 TV on Christmas Eve 1998. It is like a companion-piece to ‘The Snowman’ except that the hero is a small girl – sung on the film by Charlotte Church. A young girl, Tilly, visits the zoo with her mum and dad, but accidentally drops her best loved toy into the polar bear's pit. That night, Tilly cries herself to sleep, only to wake and find a huge polar bear standing over her- he's come to return her precious teddy. So begins a magical friendship with some bear-size complications, the biggest problem being how to keep such an enormous pet hidden from her parents. Everything changes when The Bear hears a call of the wild from the spirit of The Great Bear who descends from the constellation in the sky to embark on an extraordinary night adventure across the City of London. The Polar Bear is represented by a tenor and the Star-Bear by a bass-baritone. All three singers join in the song ‘Somewhere a star shines for everyone’, sung as they skate down the frozen Thames and again at the end. Please note: Babes in arms may sit on their parent/carer’s lap however anyone aged 2 or above must have their own ticket and reserved seat. 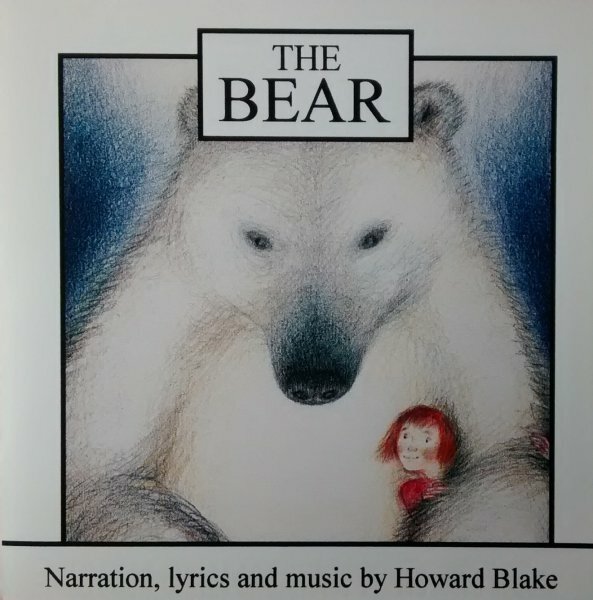 An animated film made by TVC/Channel 4 1997/98 with many of the same team who made 'The Snowman' (1982) it is similarly based on a wordless picture-book by Raymond Briggs and called 'The Bear' (published by Julia Macrae Books), but was directed and scripted by Hilary Audus in conjunction with Joanna Harrison. Music and lyrics are by Howard Blake who also conducted The Philharmonia Orchestra and the singers: Charlotte Church (girl soprano), Martyn Hill (tenor) and Peter Knapp (bass). Howard Blake writes: All the sung parts in the film originally had lyrics but sadly producer John Coates decided they were better sung to 'la, la,la' which was a great pity, particularly for Charlotte Church who was the discovery of the film and soon after soared to stardom. I wrote music and lyrics of 'Somewhere a star shines for everyone' especially for her as 'she' skates down the frozen Thames. In the version shown on TV today however these lyrics are only heard in the very end sequence. If heard with all the lyrics 'The Bear' starts to become like a little animated opera. It was brilliantly performed live in this way in Christmas 2017 at the Forum Arts Centre, Bath. Jason Thornton conducted brilliant performances with The Bath Philharmonia and singers. Soon after The Bear's release it appears that the producers sold some or all of the rights to Harvey Weinstein, who evidently loved the music I had written. He rang me and said: 'The score for The Bear is not just good, it's brilliant. You are my man!' However I never heard from him again and for a while the film appeared in USA with a desperately inappropriate narration which drowned out all the music. . This seems to have been corrected at least in the UK, and it was good to watch with just the music as originally intended. Well done London Live! Perhaps eventually the lyrics will also return? "The Snowman". Just like that magical film, it has a soft, crayoned look. and another wintery flight through the night sky. But never fear, "The Bear"
is simply going home again, back to where he belongs. 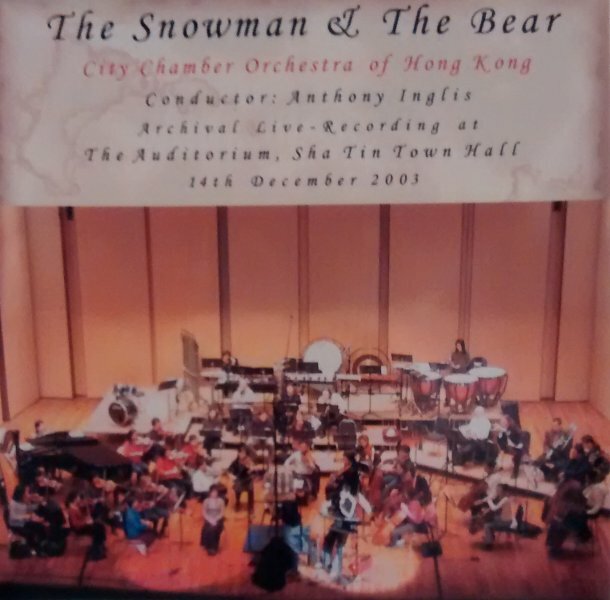 Howard Blake picks up the musical baton once more.Where "The Snowman"
» A mewling baby in its crib has the initials 'JC' sewn on its rompersuit. looksunquestionably like the one and only Mr Raymond Briggs!